Eleven-year-old Velvet doesn’t want to be a summer project for some rich white woman, and recovering alcoholic Ginger is unsure of how to help her inner-city guest. Each has needs that are awakened during the time they spend together, though neither realizes their relationship will stretch far beyond the allotted two weeks because of an abused and unpredictable horse. Point of view switches back and forth between the two main characters, with an occasional shift to Ginger’s husband or Velvet’s mother. All of the characters are damaged, but Gaitskill resists neat solutions and no easy repairs are issued. Instead she shows the uncertainty, pain, frustration, and breathtaking moments of hope they share. Following her National Book Award-nominated Veronica, here is Mary Gaitskill's most poignant and powerful work yet--the story of a Dominican girl, the Anglo woman who introduces her to riding, and the horse who changes everything for her. Velveteen Vargas is eleven years old, a Fresh Air Fund kid from Brooklyn. Her host family is a couple in upstate New York: Ginger, a failed artist and shakily recovered alcoholic, and her academic husband, Paul, who wonder what it will mean to "make a difference" in such a contrived situation. Gaitskill illuminates their shifting relationship with Velvet over several years, as well as Velvet's encounter with the horses at the stable down the road--especially with an abused, unruly mare called Fugly Girl. With strong supporting characters--Velvet's abusive mother, an eccentric horse trainer, a charismatic older boy who awakens Velvet's nascent passion--The Mare traces Velvet's journey between the vital, violent world of the inner city and the world of the small-town stable. In Gaitskill's hands, the timeless story of a girl and a horse is joined with a timely story of people from different races and classes trying to meet one another honestly. 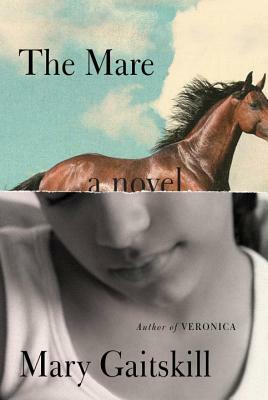 The Mare is raw, heart-stirring, and original. MARY GAITSKILL is the author of the story collections Bad Behavior, Because They Wanted To (nominated for a PEN/Faulkner Award), and Don't Cry, and the novels Veronica (nominated for a National Book Award) and Two Girls, Fat and Thin. She has received a Guggenheim Fellowship, and her work has appeared in The New Yorker, Harper's, Esquire, The Best American Short Stories, and The O. Henry Prize Stories.